You’ve been nominated for nine Grammys and won two – one toward the beginning of your career and another last year for the audiobook version of your autobiography. Nearly 40 years since your first Grammy, how did it feel to be recognized by your peers for life’s story? It felt fantastic. It felt amazing. I mean, nobody expects to get a Grammy in their 60s (laughs). Who would have thought? Spoken word? I think that was extraordinary, especially given who I was up against. All I can think is the music industry recognized the music in the autobiography. And we recorded it very differently than what had been done before. We recorded the music live, as we went. It was a completely different approach to a singer’s autobiography, I think. Recording the thing was a nightmare (laughs). I think part of it was the younger people in my industry recognizing what I stood for – the downloading, the open internet, women’s rights. I think all of those things were part of that. During your 2013 Grammy acceptance speech you mentioned that artists such as yourself don’t “sell music,” you “sell dreams.” Why do you think this is such an important distinction? Because the music industry has become an industry, not a business. And it’s enormous. It’s U.S. Steel, it’s General Motors. And like any huge corporate structure, it loses sight of what it’s selling…and there in lies perdition. If we as writers lose sight of that, then it’s all gonna go to hell. It’s fine for the executives to lose sight of it for a while because there will always be songwriters and dedicated artists to bring them back, but it’s also good for us to remember. It’s important for us to understand that one of the reasons the music business tanks periodically is when everybody is chasing radio and repeating themselves. Dreams don’t repeat. People have a new dream every day, so you have to keep up with that. If you’re not keeping up with that, you lose your way. The music industry – like any industry – tends to live in a hermetically-sealed bubble, where these things are the most important things in the world. Yet, at the end of the day – and I mean zero disrespect to the Grammys – but what’s a Grammy next to somebody’s life? We have to look at things in perspective. And what’s a Grammy next to somebody’s dream, unless your dream was to get a Grammy? Perspective. I think we all tend to lose perspective. In my industry, especially, loss of perspective means everybody gets to make more money from you. When we met last year after your performance in Wilmington, we spoke briefly about my interest writing thrillers. And you mentioned that this genre is of interest to you as a reader. Who are some of your favorite authors and what are you currently reading? I’m about to delve seriously into Raymond Chandler and Elmore Leonard, just for the sparseness of their words and how much they could pack into one small page – it’s pretty extraordinary. Stephen King, too, when he’s at his best. I just finished his book On Writing, which is really great. Ray Bradbury, another huge favorite. Orson Scott Card, another favorite. The list goes on. I’m fortunate that I’ve always been able to read good books. You and Pat were married in Canada in 2003. How does it feel to now see that in the United States, state by state, equal marriage rights are finally becoming a reality? My wife, Pat, and I celebrate 25 years this fall. And it’s pretty astonishing because neither of us dreamed, in our lifetimes, that it would go this far. We would never have dreamed it. It’s astonishing. We’re grateful. We only have insurance together because of my union. Grateful that most people are swinging around to it. Grateful that the old guard are slowly dying out. And that’s a cruel thing to say but I think there’s a point where it takes the death of an entrenched power structure for things to progress. And I think it took the shock of AIDS and the epidemic it became for people to have to come out. “Silence equals death,” as Larry Kramer once famously said. While we’re on the topic of marriage, you wrote the clever and funny song “Married in London” about this topic. What kind of feedback did you receive from fans when it came to this song? It’s becoming dated, fortunately (laughs). I know people have used it for lots of things, from short films to wedding ceremonies. When I first started singing it, right after I wrote it, I used to get walkouts. Certain parts of the audience were very pissed off. Some people didn’t want to hear politics. As someone once said to me, “I don’t want your politics, I want your songs” (laughs). A real contradiction in terms. And I put it in the second half of the set so people would know me by the time I sang it and that made it better. You could see some people tightening up but most people were fine with it. Now, it’s a no-brainer. It’s an absolute no-brainer. It’s like singing an antiwar song. Who thinks that war is a good thing? Even the most rabid conservative doesn’t think that war is a good thing unless they’re making money from it. What’s it like to have such a close relationship with your fans because of social media? As more and more people migrated away from my website and started only using the website as an educational tool, more and more of them were on Facebook. It became a challenge. First, can I get 10,000 followers? Then can I get 50,000? Then can I get 100,000? It wasn’t this calculated but – can I do it in a way where I have a good time? I’m too old to not have a good time. By doing a quote of the day and then adding a picture to it and then now seeing if people are even capable of having a civilized discussion…I feel like it’s a cool thing to be doing. It’s fun. And I’ve seen it work, for instance, for The Pearl Foundation, a nonprofit my wife and I run. Last year we raised three quarters of a million dollars that we gave away. When I announced a sale last year, about 40% of our buyers were from Facebook. So that’s another thing. If you don’t overuse it, I think it’s a great tool for something like a charity. You’re performing at the Philadelphia Folk Festival this August. The first time you played there was in 1968 and in a 2001 article in Performing Songwriter magazine you wrote a piece about how music festivals have changed for better and worse over time. Since you wrote this article, what changes have you seen when it comes to music festivals? I think festivals are a lot more aware now of – for better and for worse – the consumers’ needs. You look at a festival like Bonnaroo, which runs like a precision machine. It’s like two-edged sword. When I started playing the Philly festival, it was like 1,500 attendees, maybe 2,000. Everybody wandered around, it was no big deal. But you came to it for a relaxing time and to learn. The large folk festivals, at least in America, have gotten away from that. They’ve gotten away from the kind of teaching that I got, that Bonnie Raitt got, that my generation got at folk festivals. So, one of the things I’ve been pushing for when I do a festival is for them to let me do a master class. Let me do a hands-on class with performers and give them the benefit of learning from the mistakes I made and learning the things I learned from other performers. And Philly is letting me do that this year. It’ll be interesting to see whether it works. One of my favorite songs of yours is “Take Me Walking In The Rain” from your 1995 album, Revenge. It’s got a fantastic melody and beautiful heartfelt lyrics. What’s the story behind this song? I started writing the chorus when I visiting Provincetown and quite literally walking along the beach and it started raining (laughs). It came from that. It took Jenny Yates coming in…I love the idea of “This town isn’t big enough for my dreams,” because I’m from Jersey and the goal was always to get to New York. Get out of Jersey. Thank you Michael for a great interview. You cover some great topics with Janis, folk festivals, marriage, books and Grammies. I had the pleasure of pen-palling and then finally meeting Janis after being one of the winners for her Holiday Card Collection. Now whenever she comes to Portland, I make an effort to connect. Beautiful singer, beautiful songwriter beautiful guitar player and an incredibly beautiful woman! PS I just realized that Janis and I are the same age and this fall Michael, my hubby, and I will be celebrating our 25th anniversary! Thanks for the kind words, Chris. And congrats on your anniversary! Janis is a beautiful artist and person, and I’m glad you enjoyed my interview with her. Michael, Thank you for giving the world another chance to see just how marvelous and honest the wonder we know as Janis Ian is. She is always in the forefront of helping others (who care) to see and to learn what is really important. Love her work and love your sharing your interview with her with us. Thanks for stopping by and for your kind words, Alicia. I’m glad you enjoyed my interview with Janis. I’ve loved this lady forever! She’s the best! I really enjoyed your interview Michael! Her voice, still, amazes me today! Effortless and clear as beautiful crystal. Her voice like a prism. There is no other artist that can touch me like her voice does. She is brilliant, in my eyes. I often say Capote, Harper Lee, Joan Didion are the genius, in the literary world. 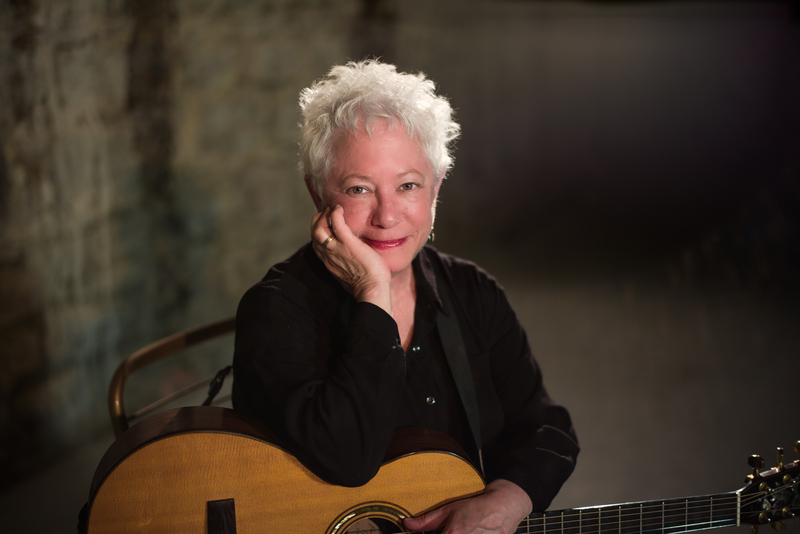 Janis Ian, is the genius in the songwriter, singer, music world. Her voice, not another like it! I believe that Janis Ian is gifted with so many different talents, she could entertain us for many years to come! How could I forget the books she has written, and published! And her wonderful clear voice for audio books. Michael, you did her good with your conversation/interview. Hope to read more from you!